After chatting with some friends about sleds, I decided it was time to trade my 3 legged dog in for a pig with earrings. So I grabbed some MDF, oak, walnut, miscellaneous hardware, and tried to figure out what tricks I wanted it to do. The outcome was pretty simple really, I wanted it to hold a rail without throwing it back. The second pic shows a changeable backing board being held by the 2 black knobs pushing down on a metal plate. The backing board can also be used to align the bit during setup. The third pic shows the rail securely held under the toggle clamps….. Excellent work. Now I feel really bad about not having built one. Alright, I’ll see if I have any mdo, walnut, oak and miscellaneous hardware tomorrow. At least I can cut something to length on my new miter saw. Bill, we can get with Monte and Matt and show our pigs at the county fair next summer…..
We’ve already agreed to do the fair in August. Ya’ll are welcome to come. Very nice. I like the attention to detail and the Walnut handles. I usually just throw my jigs and fixtures together to make them useful. 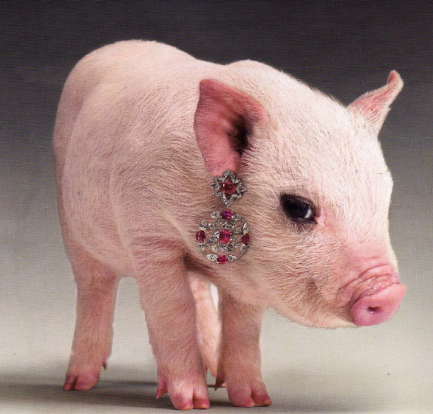 Disappointed you traded your 3 legged dog in for a pig with earrings…..good luck (what? )...keep us posted. But she’s so purdy Jeff…..
Nice work, another jig for me to make…... Thanks! Nice sled Marty. Now I am going to have to make one instead of thinking about it. Now that you’ve gotten rid of the three legged dog…. Is the pig gonna pull the sled??? Oh yeah… that’s an OK sled!!! eddie, the proper phrase here would be BACON!!! This is a nice sled and will be a very nice accessory for your router table.